Schools that teach character education report higher academic performance, improved attendance, reduced violence, fewer disciplinary issues, reduction in substance abuse, and less vandalism. At a time when parents and teachers are concerned about school violence, it is worth noting that students who attend character education schools report feeling safer because they know their fellow students value respect, responsibility, compassion and hard work. 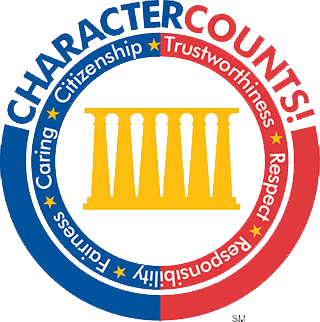 The Galloway School has adopted the nationally recognized CHARACTER COUNTS! curriculum as the cornerstone for school-wide character education. CHARACTER COUNTS! 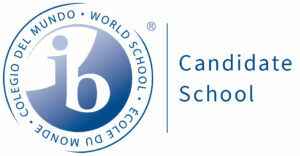 is the most widely implemented approach to character education reaching millions of youth. It also improves the lives of the adults who teach it — and the communities that embrace it. CHARACTER COUNTS! is the most widely implemented approach to character education reaching millions of youth. It improves the lives of the adults who teach it — and the communities that embrace it. CHARACTER COUNTS! gives kids a framework for ethical living. Simply put, we help kids make better choices to make everyone’s life better. CHARACTER COUNTS! is two things: an educational framework for teaching universal values, and a national coalition of organizations that support each other. The result is a culture change in a school or youth-service program. CHARACTER COUNTS! is nonprofit, nonpartisan, and nonsectarian. It transcends cultural differences. It isn’t a curriculum, an add-on, an out-of-the-box program, or a quick-fix fad. It’s character education that works with your needs and pre-existing programs. CHARACTER COUNTS and Galloway’s “Manners in Minutes” are designed to provide a continuum of virtues and good manners we expect from all of our students!